In the upper left hand corner of most screens is a “Help” button. Use this button to access a popup screen with relevant information on the current screen. 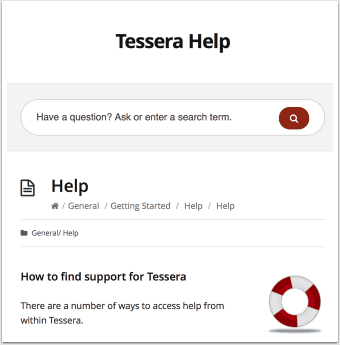 From the popup you can open the online help resources either within Tessera or within your default browser. In the Artwork Component dedicated help buttons give contextual help tips. Click on these icons for information on adjacent fields. When using Tessera on non IOS devices hovering over most objects will reveal tooltips giving information or feedback on data entered. The online help files are available from within Tessera or can be found online. 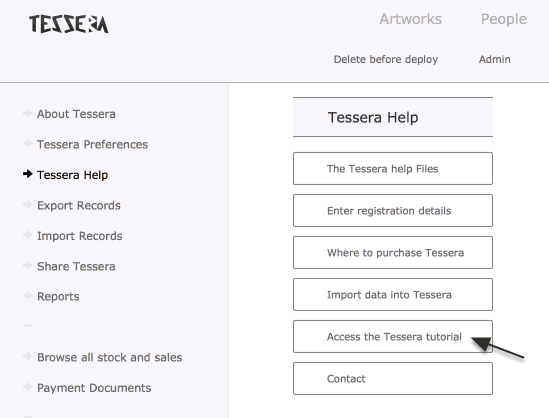 A tutorial is available from the Tessera Screen.